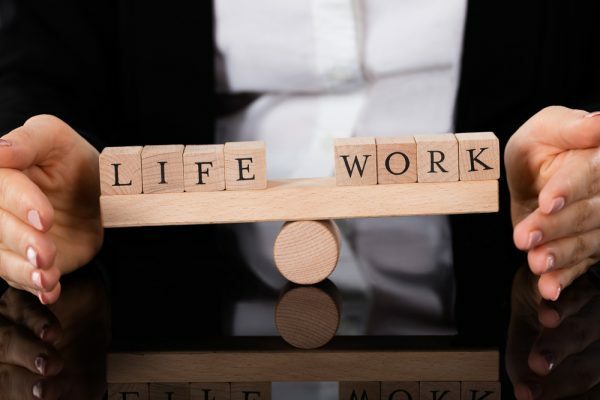 We’ve all heard the phrase “work-life balance”, trying to manage an even keel between our personal and professional lives. Sometimes, though, this is easier said than done. Mounting pressures at work and responsibilities at home can make you feel like you’re being pulled in different directions, increasing your stress levels and making you feel like you can’t do anything. Trying to get it all done can sometimes feel impossible, and put a strain on our relationships. Don’t let stress get the best of you. Be in control of your life and learn ways to keep all the balls in the air. Finding a job that fulfills you is more than just a dream–it’s so important for your health and well-being. Staying at a job that’s stressful or one that you don’t enjoy can have serious consequences, and can lead to burnout. You may not even realize that you’re burnt out or overdoing it. This is where a bit of retooling can go a long way to help you rebalance the scales and feel more centered. Prioritize your time. Make a to-do list each night with the next day’s activities. As you cross things off your list, look at areas where you can be more efficient. This will help you set goals and work on the most important tasks. After you complete goals, reward yourself with a walk or small break. Finally, focus on getting the most important tasks done and leave the tasks that can wait for the next day. This will help you avoid tackling too much and make you feel less overwhelmed. Ask for help. If you need help completing tasks, ask a coworker to assist, or talk to your supervisor. You might be able to delegate certain parts of your work that take up too much of your time or take your focus from other areas. Vent to a friend or partner. Take advantage of the support system that you have, and be supportive when people around you need your help with things. Set boundaries at work. Communicate clearly with your supervisor about their expectations. Set boundaries for responding to issues outside of work, checking emails, etc. You’ll also want to let your boss know about any time restrictions you have with regard to working overtime, etc. By establishing these boundaries and having a clear discussion, you’ll be able to achieve a healthy balance at the office, and not fall into the trap of working around the clock. Designate “me time”, and be selfish about it. All too often, we’re so busy taking care of everyone else that we forget to take care of ourselves. It can be as simple as taking a walk or going to the gym. Taking a little bit of time to relax and recharge helps reduce anxiety and stress levels, making for more happy, engaged employees. Make this time for yourself a priority and build it into your personal calendar. Learn how to let go of things. Some things we just have no control over, and that’s ok. Learn how to say no, especially if you’re feeling like you’re spread too thin. It’s better to say no and understand your limitations than to take on something else and upset the balance or do it poorly. Doing this will allow you to focus your attention on the things that are most important. Keeping everything in check is especially important if you’re planning a big move. Quickly and easily browse homes for sale in Houston and make the moving process less stressful. Use this guide to maintain a healthy balance and have a more enjoyable life.